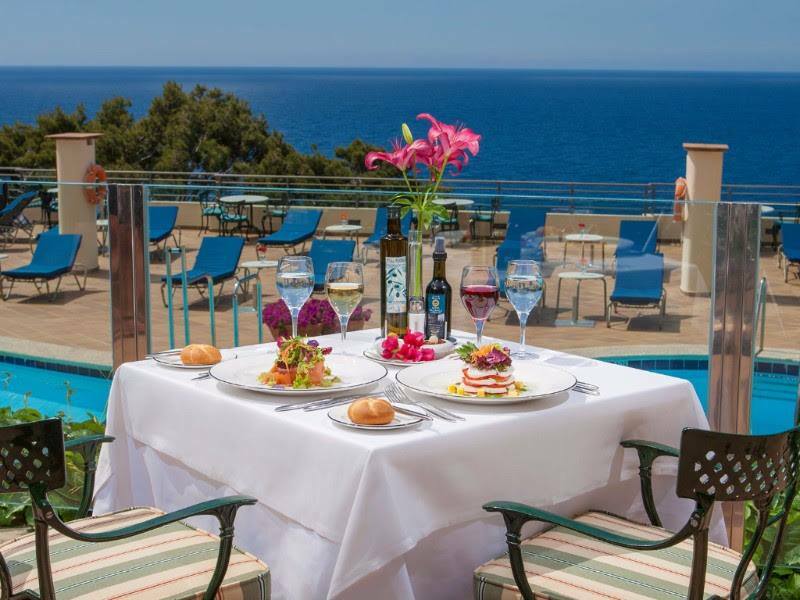 WOT Travel is delighted to offer this Castaways holiday offer to Mallorca. Set in the hills and valleys of the impressive Tramuntana mountain range, a privileged landscape, protected by UNESCO’s World Heritage. Admire the view from Lluc-Alcari or explore the Soller Valley, which is rich in vegetation – olive, almond, orange and lemon trees have been cultivated over hundreds of years on the endless terraces of farmhouses typical of this region. Seven nights from £1335 per person in August, based on two adults sharing on bed & breakfast basis. Indicative price includes return daytime flights from your local airport and Group B self-drive airport car hire. Contact Paul today, to book your getaway to Mallorca. How to Holiday in Portugal on the cheap! Whilst Portugal has more than its fair share of luxury 5 star resorts like Quinta De Lago, Vale do Lobo and Pria del Rai to name but a few. However if you are on a more restricted budget Portugal is more than affordable with plenty of great destinations to choose from! 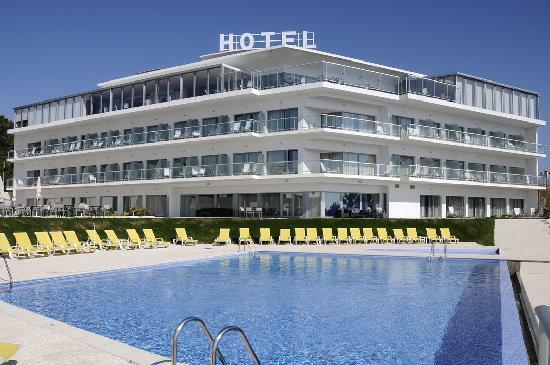 Of course there are plenty of towns like Albufeira which offer budget accommodation and more than enough nightlife for the young but there also a large selection of other resorts that offer a taste of the real Portugal that most Europeans never venture too. Portugal has three main airports Lisbon, Faro and Porto with most tourists to the country choosing to visit the popular Algarve region via Faro. It is also an easy drive from Seville in Spain especially for the South of Portugal and with no boarder restrictions its often worth considering as an alternative for cheap flights into Portugal especially during peak season. If you want to keep the cost of your holiday down then you should really look at avoiding the more popular tourist sports that most foreign visitors flock to and instead consider the more traditional resorts that are favored by the Portuguese themselves. You can find some great bargains and get to see and enjoy the real Portugal. For our example we are going to look at the old fishing village of Nazare located on the Silver Coast of Portugal, just over an hours drive North of Lisbon. 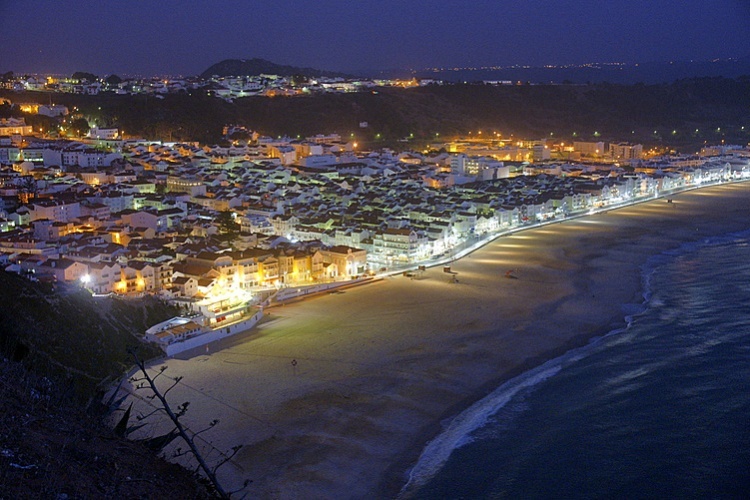 Nazare has a great sandy beach stretching for about half a mile. Ok whilst the sea may not be as warm as the med its lively and patrolled by lifeguards. There are also plenty of quieter beaches nearby to choose from too. During the peak season late July to early September the town really comes to live with many Portuguese people holidaying in the town and it can get quite busy in the local restaurants and bars but if you time it right this is not really a problem. As for accommodation Nazare offers a range of options from comfortable 4 star hotels, boutique hotels to local room rentals from €25.00 per night always negotiable especially later on in the day! If you prefer self catering then there are also plenty of options too choose from quality villas and apartments to the more older traditional rustic houses in the town. If you’re not prepared to leave things to the last moment or when you arrive Wot Travel can help book many of the resorts hotels in advance and has access to some great rates too! Nazare is famous for its surfing especially in the winter months when top surfers from around the world can be seen often breaking world records. In the calmer summer months there is plenty to do apart from the beaches, most sports are available and many fabulous historic sites to visit, more than enough to occupy every member of the family. There are so many places in Portugal to discover and many offer much cheaper rates for accommodation and typical holiday expenses like food and entertainment than the more popular Portuguese holiday destinations. All of which will help you enjoy an affordable holiday in Portugal. 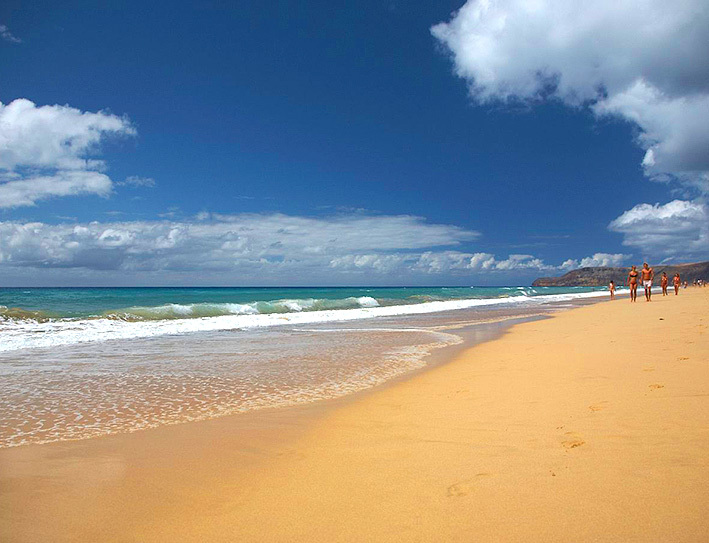 The island of Porto Santo in contrast to its much larger neighbour Madeira boasts a 9km sandy beach. In a previous article we featured The Azores today we would like to tell you about another Portuguese hidden gem the beautiful tiny island of Porto Santo, originally discovered by the Portuguese in 1418 is only some 12km long and only 6km wide. First settled by farmers and fisherman who’s trades have now almost died out, apart from a little fishing, the island now relies on the increasing tourist trade for its income with almost all food and goods being imported. Once the home of Christopher Columbus who’s house is now a museum in this honour the island is enjoying a rise in popularity. 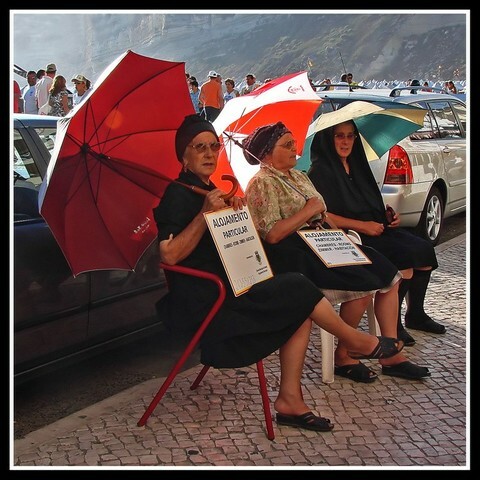 traditionally Porto Santo was a holiday spot for the wealthy Madeiran‘s today you are just as likely to bump into the odd celebrity or football star. Most people come to Porto Santo to enjoy the peace and quiet and its 9 km sandy beach which is located on the south coast of the island. The north is somewhat rockier and ideal for a rambler or a keen cyclist (bikes can be hired locally) to explore. The island boasts a new 18 hole golf course over 6,434 metres, with a par of 72, which was designed by Severiano Ballesteros, it stretches all across the island from the cliffs in the North to the dunes of the South. Other sporting activities available include diving, horse riding, canoeing, jet skies, water skiing and fishing including big game fishing which is a popular draw for many to the island. Sightseeing and shopping is available if you should need a break from the beach and the sports, with a range of things to see and do and a few souvenirs to buy in the shops of the main town of Vila Baleira. There is a range of bars and clubs on the island for those looking for a more lively end to the day, that can get quite busy especially at the weekend during the summer. There is also a fair selection of restaurants offering a range of cuisine from typical local dishes to international fine dining. The number of hotels has expanded in resent years and more are planned. 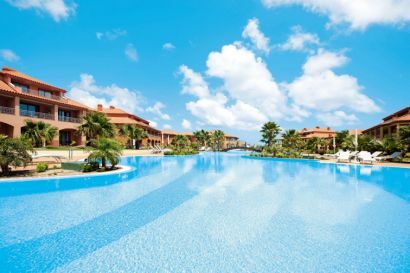 There are a couple of quality establishments and also all inclusive at the 5 star Pestana Porto Santo Resort and Spa a large family hotel located right on the beach. If you looking for something a little more traditional then there is Hotel Quinta do Serrado or if your prefer self catering there is the Aparthotel Luamar. How do you get to Porto Santo? It is now possible to fly direct from London Gatwick to Porto Santo with Thomsom’s flights operate from May to October on a Monday. At other times you can get to the island via Madeira which is served by direct flights from many UK and European airports. You will then have to connect on either one of the two daily flights from Funchal or a ferry (portosantoline.pt) which takes two and a half hours and operates every day except Tuesday. If you opt for the ferry or your flights do not match in, you may have to overnight in Madeira or why not even make your visit a two centre holiday. Porto Santo is located in the Atlantic Ocean some 37 miles northeast of Madeira and 560 miles southwest of Lisbon, the nearest mainland is the coast of Morocco in North Africa. Whats the Weather like in Porto Santo? The Atlantic winds have a cooling effect on the climate year round and best time to visit Porto Santo is between May and October when day time highs start from 20c and hit 25c during July and August. The winter months are a little cooler and are somewhat wetter with an average temperature of 17c, which by Northern European standards is still very pleasant for those seeking a little winter warmth. Tenerife offers great value winter holiday’s with a reliable climate it makes the ideal destination for a break from the cold! For many years now , Tenerife has been one of the most popular winter sun destinations for those who seek a little winter warmth. During the colder months of a European winter Tenerife typically enjoys an average of 6 hours of sunshine daily and a very pleasant temperature of 21 °C. 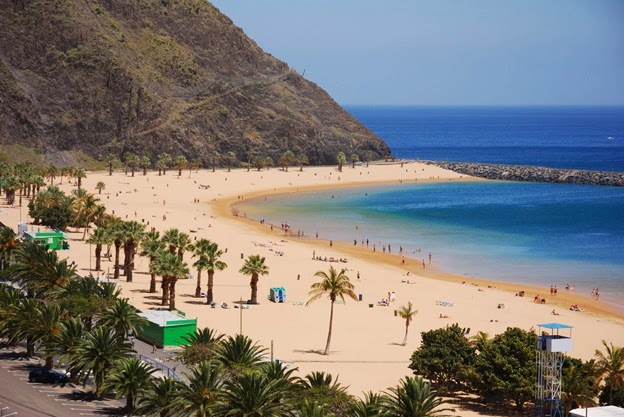 Given Tenerife’s location it is almost certain that you will enjoy a warm, dry holiday and can usually expect at least 21 dry days even during the winter months in Tenerife. With the northern area of Tenerife being somewhat cooler, but still with temperatures warmer than most of Europe during the winter months, the island offers an ideal climate for so many winter sun holiday makers. Their are a variety of activities for tourists to enjoy on Tenerife, that is is you ever get board with soaking up the sun and the pools and beaches! Tourists to Tenerife holidays can enjoy a variety of activities; the beautifully diverse landscape fascinates all who see it, and the climate is temperate throughout the year. In addition, various seasonal activities are available on Tenerife so that no matter when you visit, you can always try something new and different. With a large variety of sports and leisure activities available it is easy to see why Tenerife is such a popular destination all year round. The southern half of Tenerife is known for its moon like landscape and unique beaches of volcanic sand that make it so different to the majority of holiday destinations. The north is somewhat more fertile with banana plantations and a host of other interesting forna and flora along with a more rugged coastline to explore. The main holiday resorts on Tenerife are listed below but there are a host of smaller more intimate resorts for those looking to get away from the crowds. A must do for any holiday maker to Tenerife is a visit up to the top of Mount Teide which is some 3718 meters and the highest point in Spain. The trip to the summit is quite spectacular as you ascend through mountain villages and serene pine forests and sometimes even through a layer of cloud, it is really quite breathtaking. Once at the top you can grab a bit to eat and enjoy the peace and quiet of the volcanic National park or take the cable car up to the usually snow covered peak. There are excursions to Mount Teide available from most resorts, I would however recommend hiring a car and driving yourself. It is an easy drive and the roads are modern and safe and under your own steam you can stop and enjoy the wondrous scenery for as long as you want! There are plenty of other attractions and major towns to visit and or shop and the local transportation system is designed with the tourists in mind. Car hire is available from the airport or most major resorts or alternatively taxis are available for shorter journeys pretty much round the clock. Tenerife is a great destination for food too with a wide variety of cuisine on offer including local Canarian dishes that will get your taste buds tingling along with being a duty free island making drink and shopping a bargain too! With accommodation to suite very budget from affordable self catering apartments to luxury 5 star resorts and with direct flights available from most UK airports and many European cities Tenerife really has everything you could wish and its all only 4 hours away. Hopefully I have wet your appetite for a winter break in Tenerife, please feel to contact me to discuss the best holiday options for you in Tenerife and for a no obligation quote. 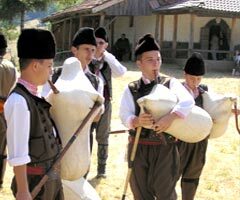 Today we examine Gela in Bulgaria a real alternative Holiday Destination far from the maddening crowds! If you want somewhere more remote than the Greek Islands but still crave that raw, natural beauty and an injection of early civilisation, head to neighbouring Bulgaria. In Gela, an alpine hamlet deep in the Rhodope Mountains, discover the home of Orpheus, visit ancient monasteries, cities and prehistoric caves. WHAT TO DO IN GELA?….. In summer, families can hike mountain trails, go horse riding, explore caves, climb the peaks or bike through the forests; whilst in the winter, there’s skiing at Pamporovo, where dozens of kilometres of downhill and cross-country tracks attract serious skiers and snowboarders. Bulgarian mainstays are moussaka, cold cucumber and yoghurt soup, and delicious fried courgette. Relish the easy, rural decadence at Villa Gella, an alpine villa encircled by firs and staggering mountain scenery. 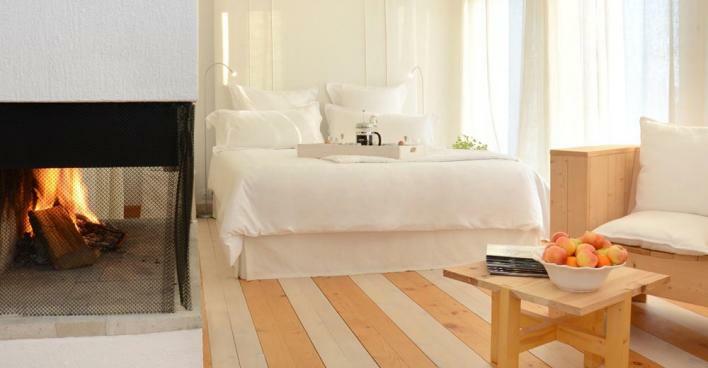 Perfect for family groups, the villa has six double bedrooms, each with en suite bathroom and fireplace. It is self-sufficient, with the chef’s making butter, cheese and yoghurt from its cows milk, collecting honey from its bees, and producing wines from its vineyard. There is an indoor pool and steam room, and on-site sports including tennis, basketball and boules. Baby monitors, games and a special kids’ tea are available on request. HOW TO GET TO GELA IN BULGARIA…..
British Airways and Bulgarian Air fly from Heathrow to Sofia, several times a week. A range of airlines fly in to Sofia from many parts of Europe, with connections from around the world. It’s a three-hour drive to Villa Gella from Sofia. Hopefully this article has whet the appetite of the non beach lovers and those of you who love holidaying in the mountains. Gela is a very special resort that really is Away from the Crowds! If you would like more information or a quote on Holidays to Gela please feel free to contact me. For the next in our series of Away from the Crowds reports we turn to Italy and the Tuscan Town of Volterra a great destination for a short break or as part of a longer holiday or self drive tour of this delightful part of Italy. In Florence, you’ll be swept back to the Renaissance, dwarfed by fine architecture and art. But you can soak up centuries of rich tradition, eat pizza and bathe in Tuscan splendour without getting mobbed by other tourists. Perched on a rocky outcrop between the rivers Era and Cecina, Volterra sings with ancient charm. 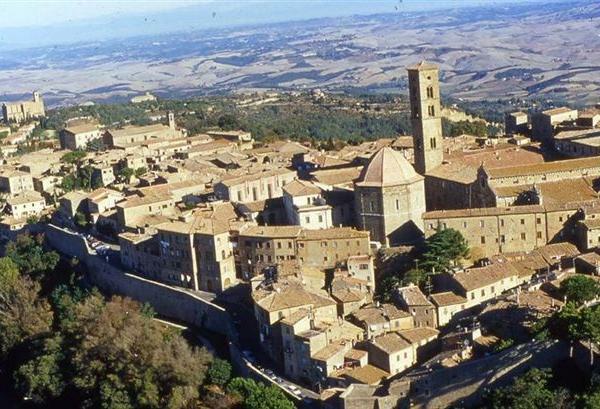 WHAT TO DO IN VOLTERRA?….. The town in compact, making it perfect for walking. Rewind the centuries when you visit the Roman theatre, where you can still see rows of seating, stage area, marble columns, baths and a sauna room. Don’t miss the Etruscan gate. Or take a day trip to Siena (one hour away), Pisa (one hour ten minutes) or Lucca (one hour twenty minutes). Ice cream from the multiple gelaterias. Ombra della Sera dishes up arguably the town’s best pizza, and parents will love the nearby Chianti area with its fabulous views and wine cellars. Head to the nearby Bay of Punta Ala and the Relais & Châteaux property Cala del Porto for a seaside stay complete with medieval fortress and fishing port. 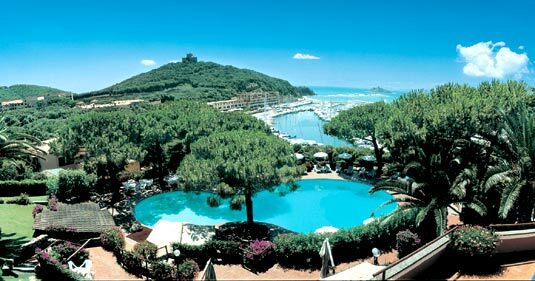 Activities include sailing, diving, horse-riding, tennis and sunbathing on the hotel’s private beach. There are special children’s menus and a babysitting service. A direct service from London Heathrow to Florence is offered by Vuelling, several times a week, although the likes of British Airways and easyJet operate in to Pisa Airport. Its about an hour’s drive to Volterra from either Florence or Pisa Airports.. If these ideas have whetted your appetite and you would like to experience one of them, or you have something in mind that you would like me to explore, in terms of costs etc, then why not drop me an email or give me a call. I’d be delighted to assist you, wherever you may live, and I can tailor-make your travels to meet your requirements.